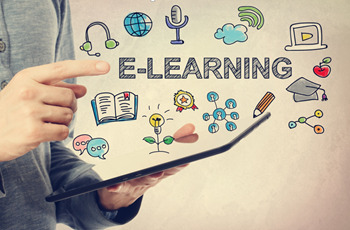 A learning system based on formalised teaching but with the help of internet resources is known as E-learning. The use of computers and the Internet forms the major role in E-learning. Our College having this centre with 38 computers with copying and printing facility. Here regular training is given to the students to use the available e-resources. The centre has high speed Internet Connectivity of 50 Mbps. This facility is free of cost to the students and teachers.